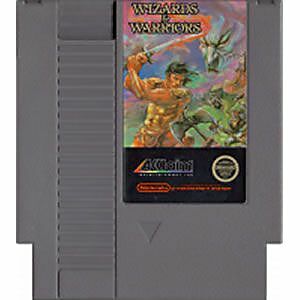 Wizards & Warriors pits Kuros, the "Knight Warrior of the Books of Excalibur", against the main antagonist, the evil wizard Malkil. A wizard so great, Merlin calls him teacher. But Malkil has strayed from the path, and is now part of the dark side. He is armed with the legendary Brightsword, a sword that is powerful enough to beat demons, insects, undead, and the other creatures which have fallen under Malkil's spell.The prisoner of the wizard awaits. She calls to you from Castle IronSpire. But the wizard is watching you, warrior. And this tale has just begun. Purchase this game! Fast shipping & well worth the Price. The game is OK, but a map is required. Not that hard to figure out, but it back tracks. Game works fine, the transport time was good too. I recommend this seller. I love the franchise, so how can I say anything bad about the original? Easy ordering, fast shipping, awesome price,game is in great condition, works without problem, I will definitely order from Lukie again. I bought this game for my wife who loved playing it as a child. She enjoys playing it now during her free time. The game is in good condition and plays with no problems. The shipping was fairly fast as well. We will definitely keep buying from lukie games from now on. 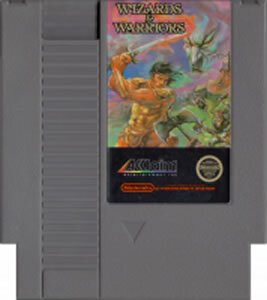 One of my first NES game! 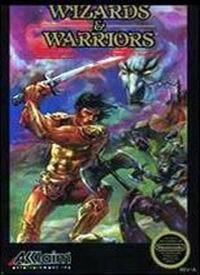 I was only 8 when I received this games back in 1988! Clearly one of my favourite game of all time. The best feature on that game is probably the fact that you don't have to start all over again when you lose both lives they give you at the beginning, making it easier to beat when you're just a child!! often overlooked, but worth a try! I played this game as a lot as a kid, and playing it again now, it has held up pretty well! In all honesty I bought this game to bring my order total up high enough for free shipping to therefore spend less. However despite how lame this game seems on the surface, it still is somehow addicting and you'll find yourself coming back to it, trying to get further than last time. Considering the average price, it's well worth it.